– On internet, we are moving quickly from “searching” to “getting”, meaning from using a browser or search engine to using Apps. Therefore mobile Apps are the future, and the impact is huge on the Operating Systems (OS) technologies and market as smart phones OS may be competing or threatening traditional OS. – Despite being presently the leader in shipping smart-phone units, Symbian OS generate very low interest for developers. – It is also interesting to note the tight link between the Smartphone and Tablet OS perception and results for a same vendor. – Recently: During the last six months, developer support for Android and iOS iPhone has been relatively stable, while interest in iOS iPAD has grown sharply, BlackBerry & Windows Phone 7 are recessing, Symbian is lagging. 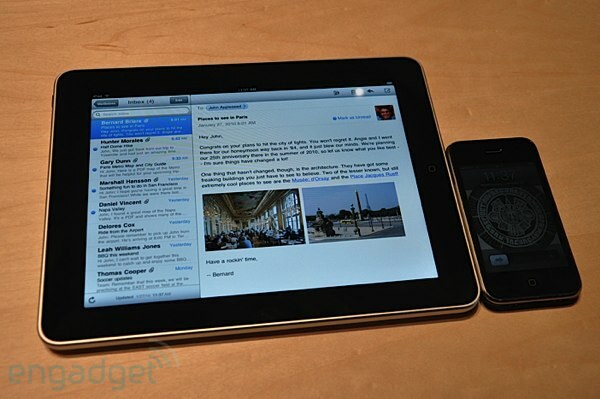 – Android is also leading the way beyond mobile smart-phones and tablets (i.e. home entertainment platform, Connected TV). See chart “Windows of opportunity”. 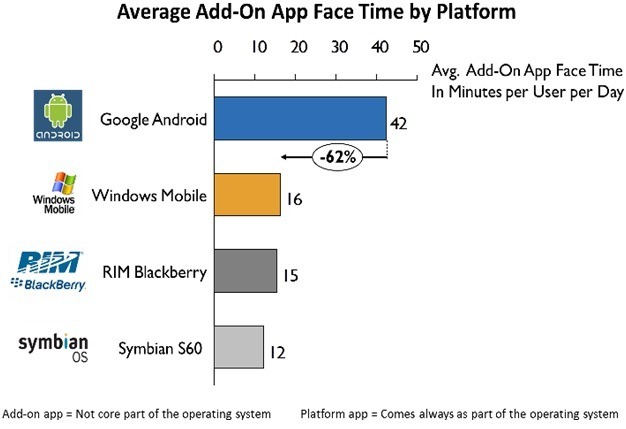 1- With Apple and Google clearly leading the way, can RIM keep up the pace ? With the launch of the BlackBerry PlayBook tablet, the announcement of Blackberry Advertising Service, its future BlackBerry Messenger Social Platform, and a new web based platform for developers, not to forget RIM’s strong customer base on the large enterprise market, for its security and its integration to corporate applications and middleware, RIM is expanding its strategy but also expanding the battlefield on a mass-market ground, and it will be a hard and challenging fight. 2- Will Symbian survive ? Once the Eldorado of the Open Source OS platform for mobile devices, attracting developers to develop on a common platform across multiple systems, Symbian Foundation seems to be on its way out, with Samsong and Sony-Ericsson abandoning the sinking ship, leaving only Nokia as a top tier vendor to support it. One way to survive may be for Nokia to purchase it, which would be a win-win. Meanwhile Google Android has the support of all major device manufacturers and is now the leading Open Source Mobile platform. 3- Do we want or need a facebook OS ? With rumours floating around about Facebook working with INQ on the development of two smart-phones supposed to be running on the Android OS , but really customised to integrate closely with Facebook, the questions raise: does it really make sense for Facebook to launch its own smartphone and does the market really needs another mobile OS ? 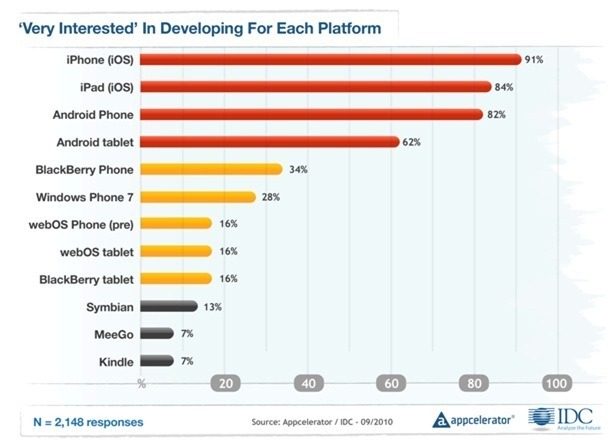 Certainly developers do not want another mobile OS! And what about you, Facebook fans and me ? As a Facebook user I can just open an app on my smart-phone and directly contact my friends and social network, and by the way, the more it goes the more I do that instead of calling or sending an email or an SMS…Times are indeed changing. But in the future Facebook may want to compete with Google Voice, Apple and Microsoft on the Voice and Video over IP, and Location-Based-Services for mobile ads for a more complete offering…which is why they are investigating this option. What plays in favour of Facebook is their 500Millions+ users (and growing quickly) and the incredibly rich profile information they have on their users as any information they share becomes a component of Facebook database which they can access, analyse and leverage, a dream come thru for any marketer. And that game is all about leveraging user information to target marketing campaigns and sell ads, right. But that’s another story. 4- Who is leading the “add-on apps” and usage? A recent study from Zokem shows Android clearly leading the way with 42 minutes per day spent (or face time) on “add-on apps” as Facebook, YouTube, Twitter, Skype etc Please note Apple iOS was not part of the survey and user still spend more time on core apps than add on apps. See chart. 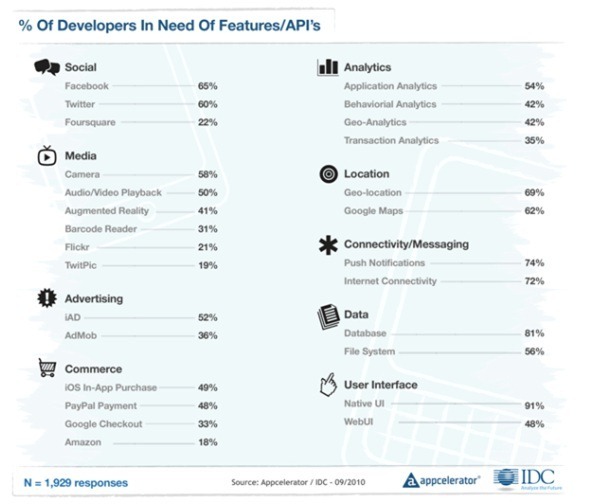 5- What are the most demanded APIs ? For Social Networks: Integration of mobile apps with Facebook is THE key priority (65%) , followed by Twitter (60%), way ahead of Foursquare (22%). For Mobile payment: Apple iOS (49%) and Paypal (48%) payment are most supported as mobile commerce enablers. Other trends: Geo Location based services are more demanded than Google Maps, and push notifications more than mobile web browsing. 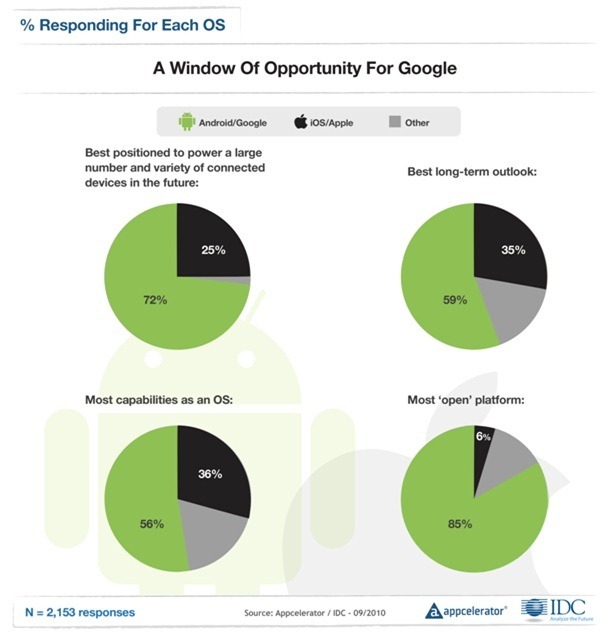 In conclusion, based on developers feedback and on the way mobile device market is evolving, I see clearly An droid winning the mobile OS market. However Apple iOS will remain strong, thanks to its loyal “fans” base and its innovative spirit, and RIM will survive, thanks to its enterprise customer base and technology driven culture. Symbian will be out of the race –except if took-over by a manufacturer as Nokia-, and others players as Microsoft, MeGoo, Kindle etc, and others Linux OS will have a hard time grabbing any significant market-share. There is no room for more than 3 mobile OS on a mature market. The remaining question is When? IDC predict Android will be #2 most popular mobile OS by 2013, I would guess #1 by 2013, but who am I ?